Hey, hey, hey, Groove-ophiles! 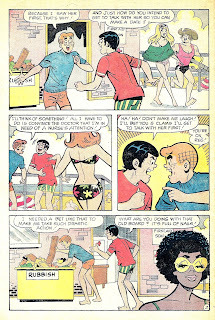 It's back to the beach, and during the Groovy Age, the only way Kid Groove could get sun and sand was in an Archie comic! 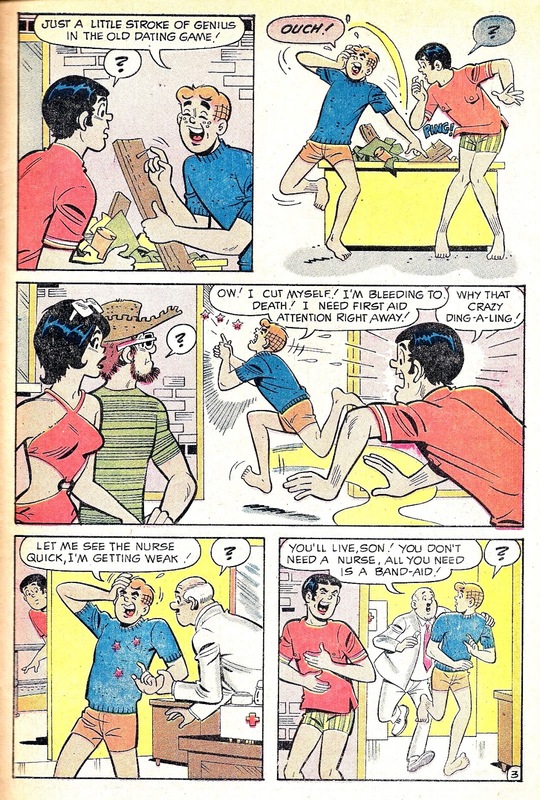 Pep #258 (July 1971) has a fun "on the beach" story featuring Archie and Reggie vying for the attention of the lovely young nurse at the first aid station. 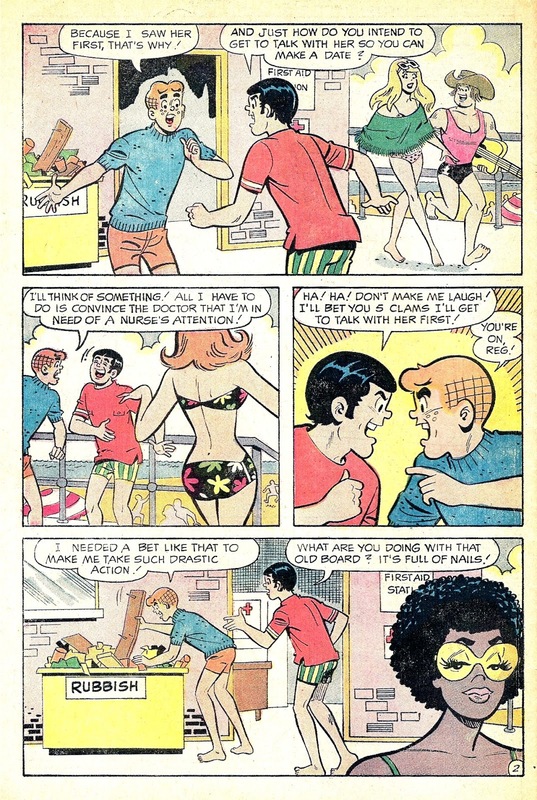 You can guess the shenanigans to come, but hey, it's fun stuff by Tom Doyle, Stan Goldberg, and Jon D'Agostino! 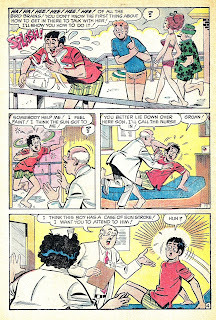 Face it, tiger--you've had a..."Stroke of Luck!" 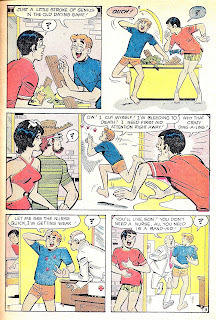 P. S. The new Archie comics starting last year with Mark WAIS are great!